Congratulations to Class 3/4M for creating this colourful, three-dimensional display for the library on the Crichton Award nominated book, “The lighthouse kids of Maatsuyker Island: a true Tasmanian adventure”! This and other class displays are in my Flickr slideshow. 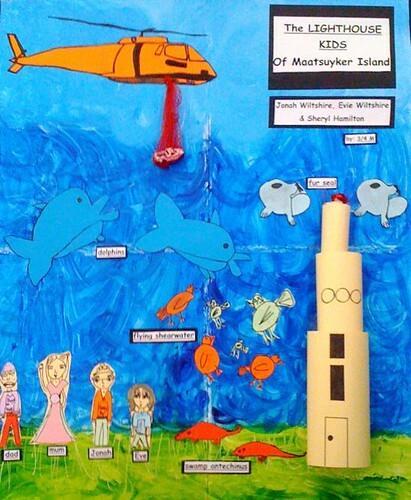 This entry was posted in books, library environment, news, Stage 2 and tagged Crichton Award, displays, Flickr, lighthouses. Bookmark the permalink.